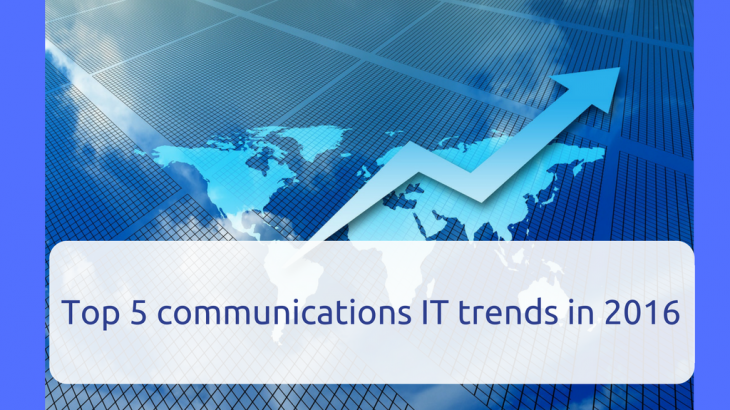 Came across an article today morning – Top 5 communications IT trends in 2016 published on January 21st 2016 by author Ben Rossi. We are now almost end of 2016 – only 2 months to go. So thought to review it. Wi-Fi he mentions, according to most adolescents, an unquestionable human right. However, Wi-Fi in corporate environments is coming under increasing strain. Yes offcourse keeping connectivity in mind, India is also progressing now Smart Cities, Internet Of things and so on. Cloud is increasingly booming with apps like Microsoft Office 365, Google apps, AWS etc. Infact we are proud that we ourself acquired 300 Microsoft Office 365 Customers in 2016 and has been recognized as Best Cloud Provider by Microsoft. In terms of collaboration also we see tremendous growth for Microsoft Office 365 – Skype for Business Suite. Finally it’s time to think about the customer interface. Organisations are not the only things going digital – in many areas consumers are way ahead of the businesses that serve them. Email Hacking, Email Phishing, Email Security, Microsoft Office 365, Ransomware, Security. permalink.